Tourists have been known to go some extreme lengths for the perfect selfie. 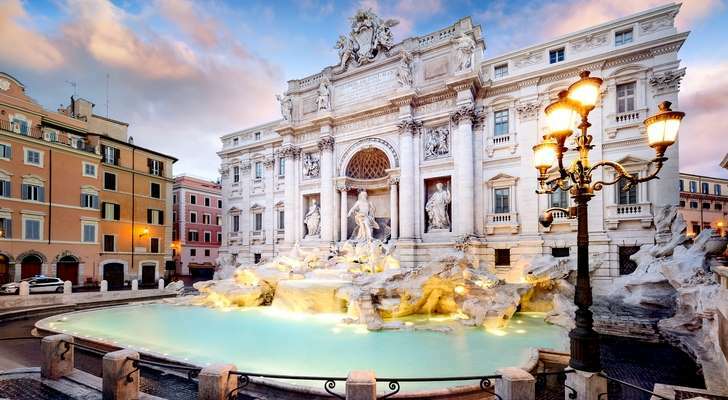 However, two women resorted to exchanging blows at Rome's Trevi Fountain, sparking an eight-person brawl earlier this week. According to The Guardian, a 19-year-old woman from the Netherlands and a 44-year-old Italian-American woman were posing for selfies at the historic site Wednesday evening, a popular time of day for selfie-takers as the sunlight strikes the fountain just right. [post_ads]Seeking out the same exact prime spot, the women exchanged words before physically fighting. That's when their respective family members joined in. A total of four police officers were needed to break up the brawl. The eight tourists reportedly sustained only bruises and were later charged for the violence. The timing of the brawl couldn't be worse for tourists hoping to get up close with the fountain as city officials were already weighing the possibility of installing a route that would force visitors to bypass the fountain without stopping as overcrowding has become a serious issue. City council member Andrea Coia told La Repubblica newspaper that the "situation has become unlivable." Unsurprisingly, online travel agent Agoda recently revealed taking selfies is the world's fifth-most annoying travel habit.